In an age of massive wildfires, air quality in your work environment can change in an instant. 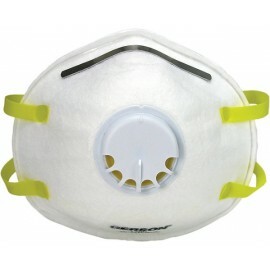 Quickly adapt to unexpected breathing hazards with NIOSH-approved disposable dust N95 respirators from Enviro Safety Products. 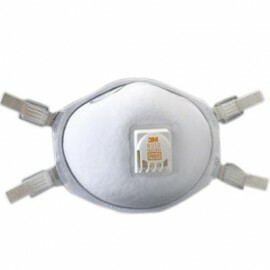 Compactly designed to go wherever you go, these single-use, all-in-one N95 face masks can be easily thrown on to defend against 95 percent of non-oil-based airborne particles. Elastic straps adjust to every wearer for a secure fit that can smoothly transition from indoor to outdoor use. 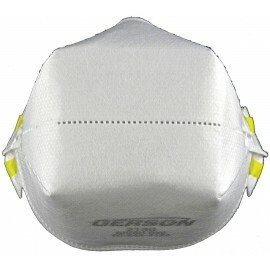 Efficiently crafted to provide nose and mouth coverage, these NIOSH-approved respirator dust masks prevent obstruction of the eyes, leaving room for safety glasses or goggles. 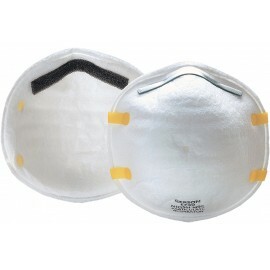 Get long-lasting protection that adapts to your environment with N95 face masks and other NIOSH disposable respirator masks. 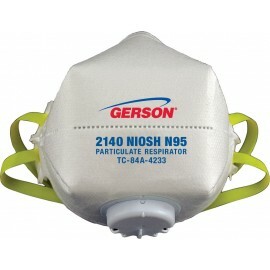 N95 face mask respirators effectively filter out a minimum of 95 percent of airborne particles. However, they’re not resistant to oil. N95 respirators are ideal for environments where non-oil-based hazards are present, like construction, mineral processing and other dust-laden workplaces. 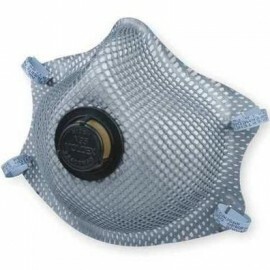 At Enviro Safety Products, it’s our mission to help you protect your employees from airborne hazards, so we’ve compiled a huge selection of breathing protection at extremely affordable prices. 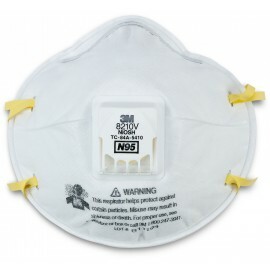 If you’re not sure which N95 face mask is right for your workplace, feel free to browse our product descriptions or call our trained experts at 800-637-6606 – we’ll be happy to help. Each mask in Enviro Safety Products’ extensive inventory meets or exceeds the National Institute for Occupational Safety and Health’s high standards. Our NIOSH-approved N95 particulate respirators filter at least 95 percent of airborne particles while allowing users to breathe comfortably. They don’t interfere with other personal protective equipment, like our economy safety glasses or disposable hoods and head coverings. Extended Wear Capabilities - Most of the N95 face mask respirators in our inventory feature special designs intended for extended wear in dusty or fume-filled environments. 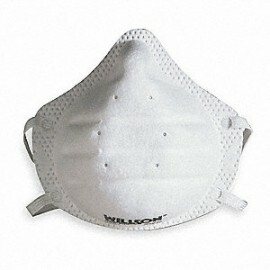 The disposable respirator masks are adjustable, durable, and reliable, so your employees can work with high levels of protection for long periods of time. 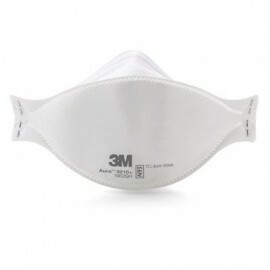 Compatibility With Other Gear - 3M N95 masks feature their patented Advanced Electret Media and Cool Flow Exhalation Valves. 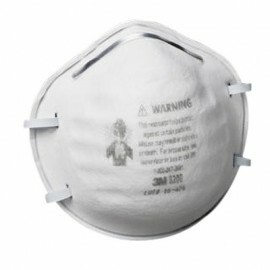 Additionally, these respirators are equipped with M-nose clips to prevent fogging on safety glasses and work in conjunction with other personal protective equipment, like earmuffs and hard hats. 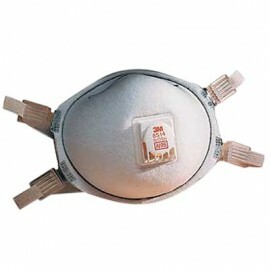 Some have foam nose and face seals, while others have pouch-style designs that also provide fluid protection. Versatility of Application – Each product in our inventory is designed for a different application. 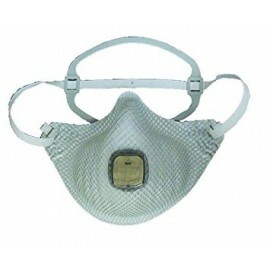 We carry FDA-approved N95 surgical masks, respirators created for welders, some designed specifically for woodworking and grinding, and other occupations. They’re available in a wide range of sizes, too, so you can protect each employee in your workplace with the right equipment. 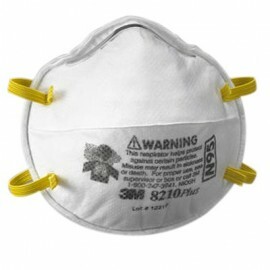 According to the FDA, N95 particulate masks can serve as PPE because they serve as a barrier between infectious materials and the mucous membranes. 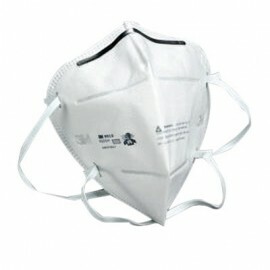 The respirators in our catalog have been used by people who wish to prevent bird flu, swine flu and the spread of other contaminants and germs. 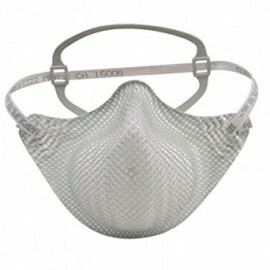 Government agencies often recommend N95 face masks for the general population during viral outbreaks because they’re effective at filtering the flow of air going in while protecting people other than the wearer as well. 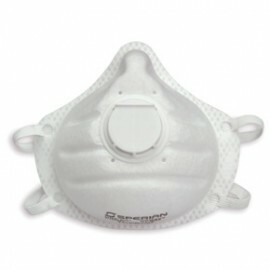 Enviro Safety Products is committed to helping you create the safest workplace possible. That’s why our huge selection of N95 respirators clearly lists the features of each – so you can choose the right protection for your employees based on the hazards present in your workplace. If you have questions about choosing the right N95 respirator, just call our friendly and knowledgeable customer service experts; every member of our staff receives intensive training on our products and their functions twice a month, so they’ll be able to help you make the right choices. Our representatives are available at 800-637-6606, Monday through Friday, from 7 a.m. to 5 p.m. PST.